PrivaZer scans and cleans your computers and storage devices, including external disks, USB flash drives, iPods, SD cards or network drives. It safeguards your privacy by removing unwanted traces of internet activities, software usage, USB history, registry and files. The program includes an available secure delete function that overwrites files to prevent recovery. WARNING: some users have reported problems that cause system stability issues. Recommend backing up data before use. How to extract: Download the "portable version" PrivaZer.exe to a folder of your choice and launch. @FileHandler As the disclaimer on the entry notes, you're not the first person to have problems with this. If we keep getting issues like this, I'll recommend we take it offline. I don't want to recommend something that doesn't work right. I had similar issues, so never used it again. I had to reinstall a backup to fix most things. As with all registry cleaning utilities, user discretion is utterly advisable. I use it on occasion and have never had such issues. Until proven that the issues reported are particular to Privazer, I would like for it not to be taken offline. NOTE: Recent press about CCleaner indicates it may represent a privacy concern. 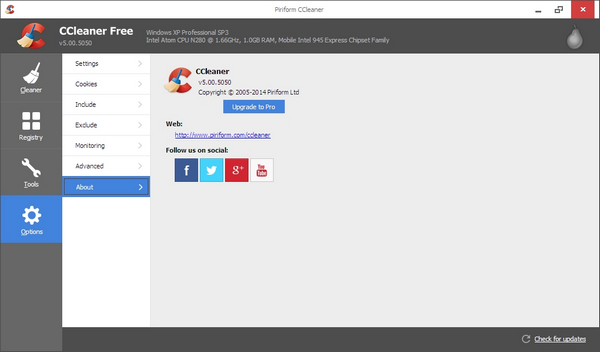 CCleaner is a feature-rich system optimization and privacy tool. The program cleans unused, temporary and log files from your system, as well as traces of online activities such as Internet history and flash cookies. 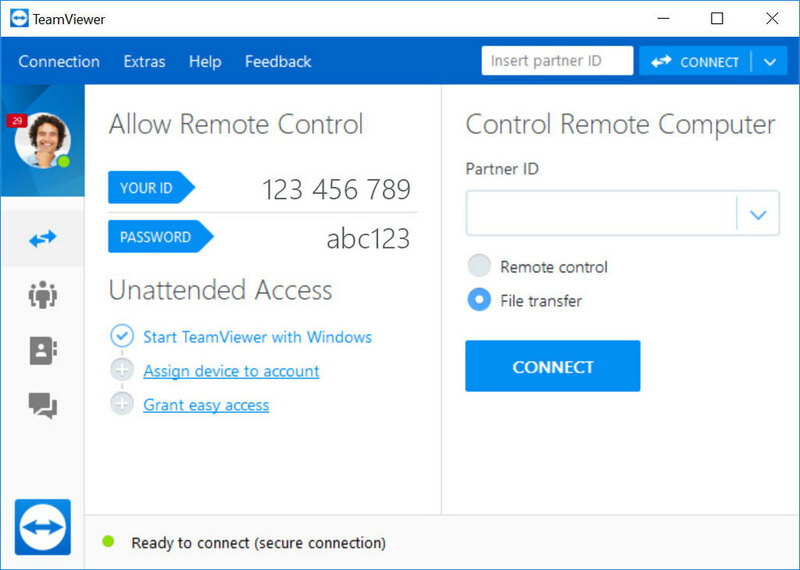 The program contains startup controls for Windows, major internet browsers and context menu entries. Includes a separate registry cleaner, duplicate search, system restore tool and can wipe both deleted files and drive free space for security. A 64-bit version is available (within the folder). Monitoring functions are only available in the pro version. Additional cleaner rules can be using an unofficial set of community-developed set. It should be noted that many of these rules are alpha and the developers will not provide support for these rules, a thread in the users forum is dedicated to supporting the add-on rules. Alternatively, ccPortable is also available. Don't forget to disable usage data sharing in 'Options' - 'Privacy'. See: https://www.ghacks.net/2018/06/28/ccleaner-5-54-comes-with-advertising-popups/ Using Firewall App Blocker (Fab) from Sordum: https://www.sordum.org/8125/firewall-app-blocker-fab-v1-6/ I stopped CCleaner outbound. No ad since. Program is easy to use, just un-zip and run (only for Windows Firewall). portableapps.com has 5.45.6611 (Date Updated: 2018-07-26, product version: 5.545.190.6611), Aug 3 version (above) is 5.44.6575 download (64bit) is 5.44.162.6575. Is this an update? 5.45 was officially pulled and replaced back with 5.44, so yes. FileOptimizer is a broad format file compression tool used to reduce file size without changing the quality, known as "lossless." This is done via wide variety of optimization and recompression tools and techniques. Original files are sent to the recycle bin for restoration in the event the uncompressed version is preferred. A long list of supported formats include audio/video (MP3, OGG, M4A), image (GIF, JPEG, PNG), office formats (DOCX, XLSX, ODT, PDF) and system files (DLL, EXE). Supports drag-and-drop of files into the window or onto the program icon. Note that by default the program removes metadata for many file types. This information reduces overall file size and protects privacy but is important to some users (e.g. photographers) and file search tools. A 64-bit version is available within the folder, the author reports the program is functional in WINE, and can be used on the command line. How to extract: Download the self-extracting 7z package and extract to a folder of your choice. Launch FileOptimizer32.exe or FileOptimizer64.exe (for 64-bit OS). Hmm no Change log/History for v12.80, this is a first. That's not portable. I can only get a setup file installing in C: drive. 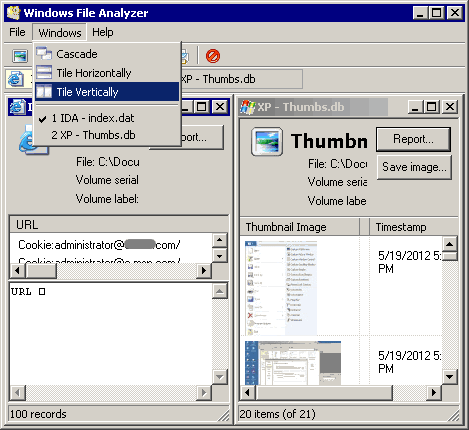 Windows File Analyzer decodes and analyzes to provide cached information for forensic analysis. Includes a tabbed interface with a multiple-document window and horizontal/vertical/cascade view settings. Analysis results can be printed in user-friendly form. The program includes a variety of analysis tools useful for seeing how much information your computer leaves behind that could represent a privacy risk or for trying to detect nefarious activity. Features include thumbnail viewers available for Windows XP, ACDSee, Google Picasa, FastStone Viewer, and HP Digital Imaging files, displaying content with stored data and image preview. A Prefetch Analyzer looks at recent programs run and stored in the Prefetch folder while the Shortcut Analyzer for all shortcut files in specified folder and data stored in them. An Index.DAT Analyzer looks at Internet Explorer cookies, temporary files or history while a Recycle Bin decoding tool displays Info2 files that hold recycle bin content (Win2k and XP only). A PDF-format help file is available from the author website. How to extract: Download the ZIP package and extract to a folder of your choice. Launch WFA.exe. Would it be appropriate to expand the list with the newly created "Security -> "Forensic Tools" subcategory ? Can't find what you are looking for? This list shows entries with Security - Privacy Tools as a supplementary function. You can view more entries with Security - Privacy Tools as a primary function.